The School of Art and Open Studio of Perquin/ Walls of Hope is an international art and human rights, project of education, diplomacy building and community development born in Perquin, Morazán, in 2005. 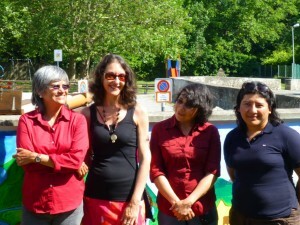 Four Salvadoran artists/ teachers direct the school: America Argentina Vaquerano, Claudia Verenice Flores Escolero, Rosa del Carmen Argueta, and Samuel Amilcar Varela working in collaboration with Claudia Bernardi artist and educator from Argentina. 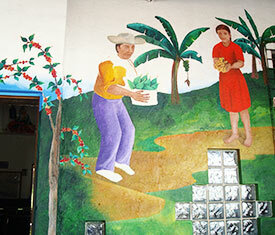 Walls of Hope is now expanding its art and community-based activities beyond El Salvador. One of the most relevant aspects of the School of Art and Open Studio of Perquin is the creation of art projects developing what is known as The Perquin Model traveling the continent from Canada, United States to Guatemala, Colombia, Ireland and Switzerland . 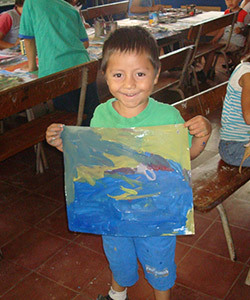 The mandate of our school is to create bridges of collaboration through public art projects, site-specific interventions and weekly classes in painting, drawing, sculpture, educating children, youth and adults in the skills of the visual arts. Our vision is to add our efforts towards education, diplomacy, community development and the recovery of historic memory in our communities. 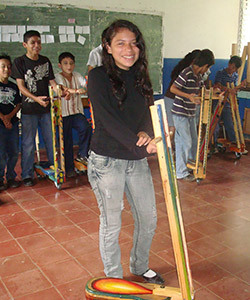 BUILDING FUTURES (Campaign to support the School of Art and Open Studio of Perquin, El Salvador. This invitation on line is to request support to continue the work we create, develop and facilitate in El Salvador and the rest of the world bridging art, education an human rights. Attached, you will find a current report of our activities during 2012-2013. Please, help us disseminate this information among your contacts.